The government’s Pension Engagement Committee (PEC) and the public sector trade unions and staff associations resumed pension negotiations on Friday. In an amicable meeting which lasted over 2 hours, the 2 sides discussed their respective proposals but are not any closer to resolving the issue. The unions continue to demand 25% advanced payment of pension which is commonly referred to as gratuity. The government offer is 8% gratuity, with reduced pension over 8 years. 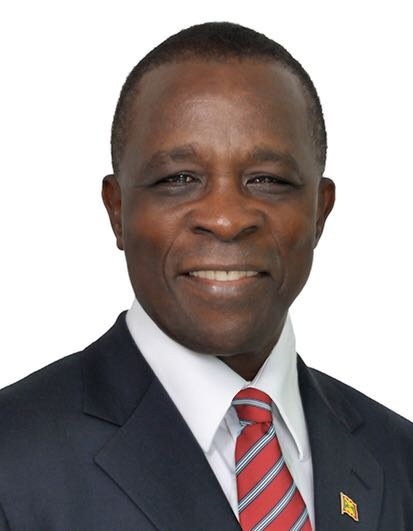 Minister of Trade, Industry, Cooperatives and CARICOM Affairs, Honourable Oliver Joseph, who chairs the PEC said while government is keen to resolve the matter, any settlement of the pension negotiations must not breach the Fiscal Responsibility Act. He emphasised that government cannot be irresponsible and commit to something that is not sustainable and which will force a reduction in social programmes that are geared towards improving the wellbeing of citizens. At Friday’s meeting, the PEC committed to providing the trade unions and staff associations with the specific data for agreed upon scenarios by next Wednesday. Government has already shared all relevant data with the unions and associations which can be used for the modelling and costing of proposals. The date for the next meeting has not yet been set. On Thursday night, when he addressed the official opening of the Caribbean Union of Teachers Regional Education Conference, Prime Minister, Dr the Right Honourable Keith Mitchell called for the parties to remain at the table to find a solution. Dr Mitchell, a former teacher, said he is grateful for the role of good teachers in his upbringing and he assured them of his continued support.